Cobblestones - Portland Stone Ware Co., Inc.
Cobblestones are stones that were frequently used in the pavement of early streets. “Cobble”, the diminutive of the archaic English word “cob”, meaning “rounded lump”, originally referred to any small stone rounded by the flow of water; essentially, a large pebble. It was these smooth “cobbles”, gathered from stream beds, that paved the first “cobblestone” streets. In England, it was commonplace since ancient times for flat stones with a flat narrow edge to be set on edge to provide an even paved surface. This was known as a ‘pitched’ surface and was common all over Britain, as it did not require rounded pebbles. Pitched surfaces predate the use of regularly-sized granite setts by more than a thousand years. Such pitched paving is quite distinct from that formed from rounded stones, although both forms are commonly referred to as ‘cobbled’ surfaces. Most surviving genuinely old ‘cobbled’ areas are in reality pitched surfaces. Setts are often idiomatically referred to as “cobbles”, although a sett is distinct from a cobblestone by being quarried or shaped to a regular form, whereas cobblestone is generally of a naturally occurring form. 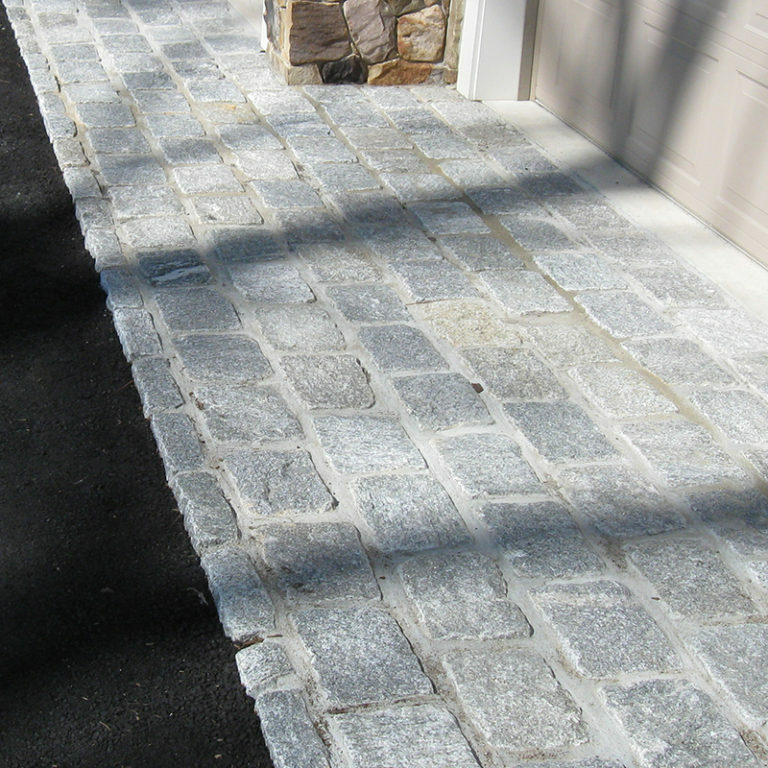 Cobble is a generic geological term for any stone having dimensions between 2.5 and 10 inches.